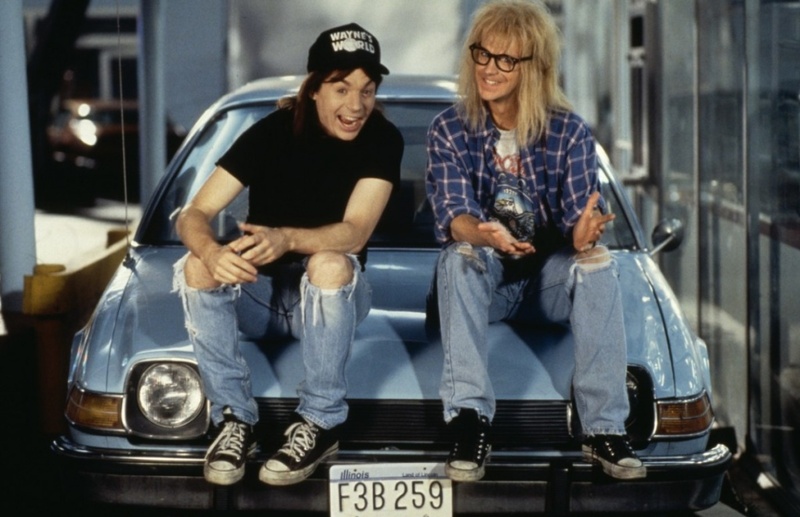 Wayne’s World with Live Cast Saturday, July 11! Hey Folks! This Saturday imagine being magically whisked away to… Delaware….. Hi……. We’re in Delaware. Midnight, Saturday, July 11, 2015 · All ages · Tickets $6.50 at the door. You’ll laugh. You’ll cry. You’ll hurl. Join us as we play Wayne’s World on the screen and act it out with a live cast on stage at the same time. Join in the fun! Just like Rocky you are welcome to yell out Audience Participation lines and use props. (please nothing too messy though, the cast has to clean after the show) Prepare your neck for some glorious headbanging during Bohemian Rhapsody!